Twisted Metal Alliance: Temporary Forum - Twisted Metal Black Online: Highlights Vol 1. 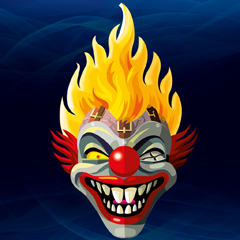 Twisted Metal Alliance: Temporary Forum › General Category › Twisted Metal: BLACK › Twisted Metal Black Online: Highlights Vol 1. Twisted Metal Black Online: Highlights Vol 1. A compilation of some pretty fun/good moments from mid May to late July. I have more videos like this planned soon, just figured I'd post it here if anyone was interested in seeing it. Re: Twisted Metal Black Online: Highlights Vol 1. Again, Sweet vid Spag. TMBO threads and the TM2pc modding thread are the only things I feel are keeping this place on life support. Thanks! A part 2 is definitely gonna be in the works.